Mustafizur Rahman, the sensational Bangladeshi cricketer who showed historical performance in the debut match against strong India. He carves out his name in the cricket world by his terrific performance only through two ODI Matches. Mustafizur Rahman, the name is the talk of the country now. 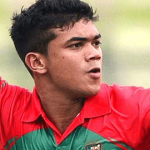 He is the rising tiger of Bangladesh cricket team who comes from the humble background. Mustafizur Rahman was born on September 6, 1995, in a remote area of Satkhira district. His father name is Abul Kashem. Mustafizur was raised in his local district and used to learned cricket from a local coach. 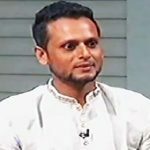 Elder brother, Muklesur Rahman helped him very much to build up a career in the cricket world. Mustafizur Rahman comes to Dhaka to join in the camp of pace blowers in 2012. 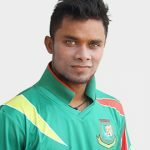 He showed tremendous performance in the under-17 competition in his home district Satkhira and he was integrated into the BCB Pace Foundation. 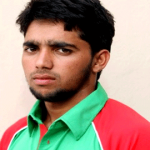 In the under-19 World Cup in United Arab Emirate, he showed magnificent performance and picked up 8 wickets. Mustafizur Rahman, a youngster of Bangladesh cricket team made his debut in the international cricket through T20 format against Pakistan on April 24, 2015. In his first international match showed great performance, picked up 2 wickets off 20 runs. In this match, he took up wickets of two great players Shahid Afridi and Mohammad Hafiz. Mustafizur Rahman’s great moment comes against India series in Bangladesh. He has made a historical debut against India on 18 June 2015 by making history. Mustafizur Rahman is the first player in the cricket world who picked up 11 wickets in first two matches. He got total 13 wickets in this series out of three matches. In his first match took 5 wickets and 6 wickets in the second match and 2 wickets in a 3rd match that is absolute history. Mustafizur Rahman made debut in the Indian Premier League in the season 2016. He was picked by the Sunrisers Hyderabad. By his magnificent performance throughout the tournament, Sunrisers Hyderabad won the title where the Fiz took 17 wickets in 16 matches. Mustafizur Rahman won the award ‘Emerging Player of the Tournament’ as a first overseas player. 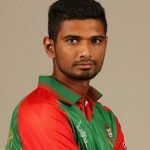 Sussex Sharks picked up Bangladeshi sensational blower Mustafizur Rahman as a second overseas player for the T20 Blast. Mustafiz kicks off the journey in the county cricket by winning the man of the match award in the debut match, he picked up four wickets and his team won over the Essex Eagles at Chelmsford on July 21, 2016. His four wickets haul leads the team to win the match. Mustafizur keeps holding his consecutive tremendous performance also in the County Cricket.